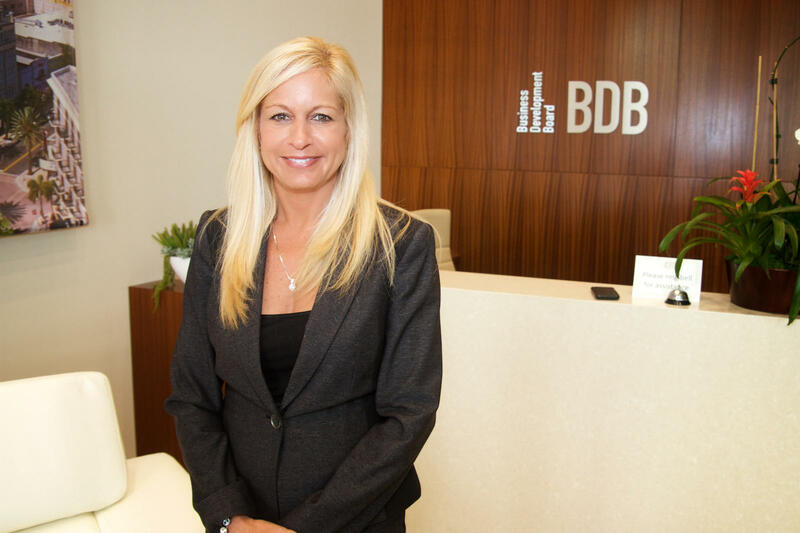 Palm Beach County Business Development Board President and CEO Kelly Smallridge says South Florida is much stronger as a region than as individual counties. Oct. 23, 2017. 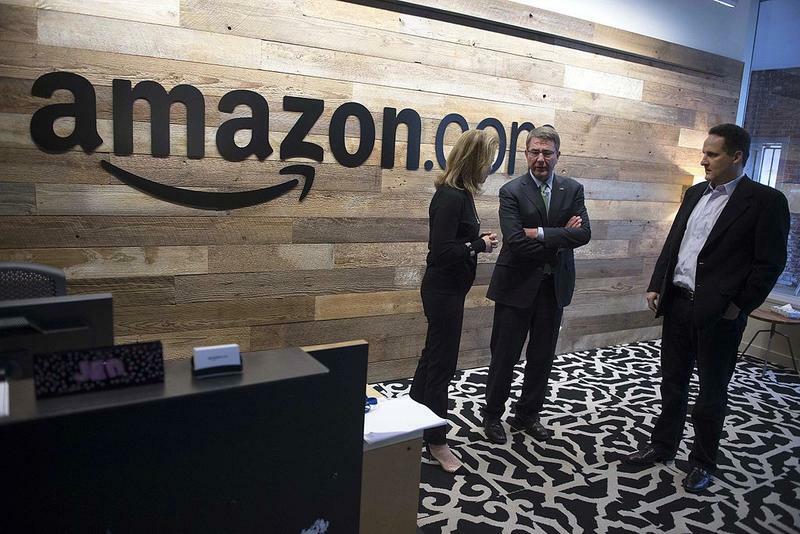 The Seattle-based online retail giant announced in early September it was accepting proposals from local governments to host its new campus. It received 238 of them. One is from South Florida. WLRN’s Peter Haden spoke with Palm Beach County Business Development Board President and CEO Kelly Smallridge about how the proposal came together. Here are some highlights of their conversation. SMALLRIDGE: Amazon is the most disruptive company in the world right now. Every economic developer believes this is the dream. It's the largest project that has surfaced in terms of economic impact in decades. Here are the numbers: It is 50,000 employees at an average salary of $100,000 -- twice the average of [Palm Beach County] right now. It is up to eight million square feet by the year 2027. And it is a $5 billion capital investment. To put that in perspective, the largest physical employer in Palm Beach County is Pratt & Whitney, which has a million square feet. Amazon would bring in eight times that amount -- and 50 times the number of employees. And when you talk about those numbers -- that would change your city or your county's economy and you would be recognized as attracting the most cutting edge innovative company that exists in the world today. This is the biggest win any community in this country -- and even Canada -- is after right now. Usually, companies don't go about selecting a community in this manner. Usually, the desire to find a location is a very confidential proposal. This has been very public, which means that they're definitely seeking the best deal, incentives, and land. And it is amazing to see the billions of dollars that communities are putting forward in order to attract Amazon to their area. Normally an incentive package is only in the lower millions. There are communities -- such as Newark, New Jersey -- that have put forward a $7 billion incentive package. But look at the cost of operating the business in New Jersey. They have a state tax on personal income. That does not exist in Florida. The cost of doing business -- and cost of living -- is much cheaper here. WLRN: What’s in the South Florida proposal? We believe we've put together an incredibly competitive package. Miami put forward five very attractive sites -- some in the downtown and some in the suburban area. Fort Lauderdale put forward two sites. And West Palm Beach put forward one site -- in the downtown. The way that we honed in on specific sites was primarily based on sites that offered the most options for mobility. In other words, that you could bike, walk, take TriRail or Brightline very easily. We have the brand new Brightline which will connect us -- not only from Miami to Fort Lauderdale to West Palm, but soon to Orlando. Mobility was a key issue that we saw was a primary factor in Amazon's decision as to where they would eventually locate. We as a community have to continue to be innovative in the ways that we develop mobility options for the future companies that will come to South Florida. Because millennials would prefer ... to get to their place of employment by options other than car. In addition, we offer access to three ports and access to three international airports with the ability to fly direct flights to many of the key cities Amazon noted in their application. South Florida doesn't have the tech reputation of San Francisco or Austin. How did the Amazon bid address that? If you look at the fabric of companies you find throughout South Florida, you're going to find a common platform of technology. So we expanded on the notion that all of these companies are really technology companies that are focused on different industries. Pratt & Whitney is a technology company that's focused on aviation, aerospace, and engineering. Office Depot is a technology company that plays in the space of office and office environments. Many of the hedge funds that are coming to Palm Beach County and to South Florida -- they are technology companies at the core of their platform. So that type of talent really lives here and is the fiber of South Florida. Our region has a population of six million people. All of the universities wrote memorandums of understanding that they would supply the workforce and tailor training programs for Amazon -- from FIU to UM to FAU to Keiser to Palm Beach State College to Broward Community College. All community colleges, state colleges and universities in the tri-county area are standing by our side to assist with Amazon. What was it like collaborating with Broward and Miami-Dade counties? It was wonderful. 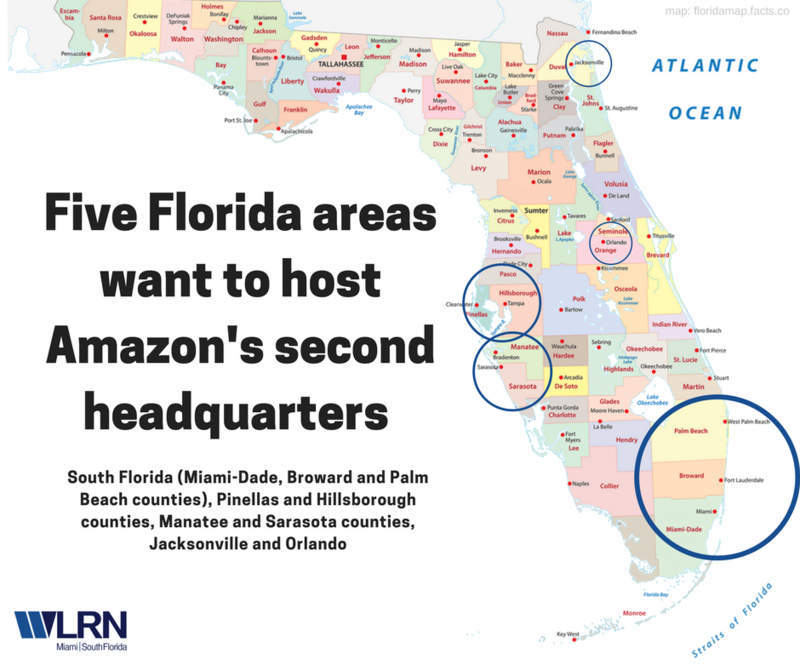 The Broward-Greater Fort Lauderdale Alliance, the Miami-Dade Beacon Council and the Palm Beach County Business Development Board actually got together months before the Amazon proposal came out to say, “We believe we are a very strong competitive region. Let's start maximizing on the competitive assets that we have as one -- as opposed to three distinctive counties.” We knew at some point, bonding together as one unit to promote ourselves to a big corporate headquarters would be most appropriate. Lo and behold, four weeks later we received the Amazon proposal. We were able to jump on it immediately. What we put together was for South Florida. We promoted ourselves as one region because the mobility option of Brightline really connects us and makes us one. The only component that was broken down county by county was the land component and the incentive component. There isn't a number because every package is tailored. We would actually have to see the city, the community and the piece of property that was decided upon because what West Palm may offer is very different than what another city may offer in South Florida. And there were some city, county and state incentives that will remain confidential -- as will the specific sites. I think our chances are really good. I think that the offer put forward of South Florida is one that should receive at least the recognition of being on the short list. What will you take forward from this process that will help South Florida get the next big fish? It was a very valuable exercise to encourage the three cities to work together and see our numbers in a totally different perspective -- how much stronger we are as a region as opposed to individual counties. Second, this proposal represents what I think is going to be on the minds of all CEOs that are looking to position their company -- based upon their intrinsic values -- for the next 10 to 20 years. We can take this and use it as a checklist for where we need to go to be attractive to the Amazons of the world for the next 10 years. Miami-Fort Lauderdale-West Palm is your next top tier region in the United States. You're in a tropical paradise. You have the best quality of life with no snow, no downtime. We're the gateway to Latin American and Caribbean markets. This is where it's happening. This is where the growth opportunities are. It has that very cool, hip, edgy, urbanistic international flair that you won't find in any other part of North America. We’ve positioned ourselves to show the world that South Florida is open for business. So regardless, in my mind, South Florida won. 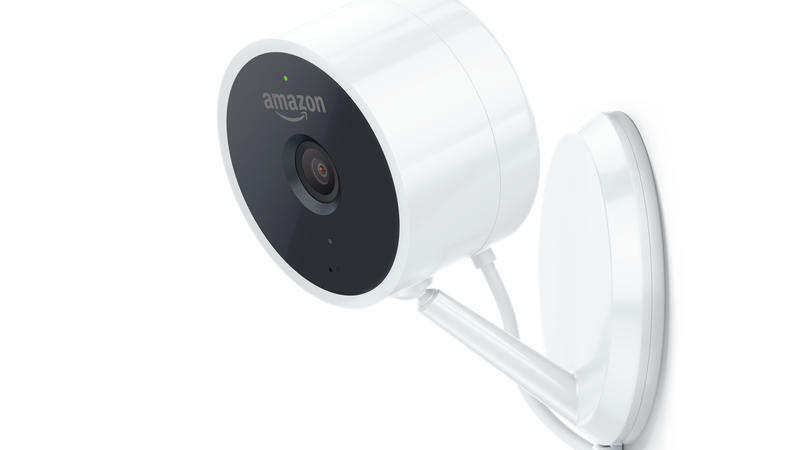 For years, Amazon has been testing the limits of online deliveries — expanding the number of things you can order at the click of a button (sometimes literally), pushing shipments to arrive faster, toying with delivery by drones.